GIANMARIA POTENZA - HOMAGE TO VENICE Sculptures spread in the city. Gianmaria Potenza celebrates his native city, Venice, with a scattered exposition of his works, starting from his most known subjects, “Double faced owls”, coming to his recent creations, “Horse”. Potenza’s artworks will be installed in various places of the city; each of these venues has a strong symbolic value, both to Venice and to the artist hiself. The link with the land and the love for the city in which Gianmaria Potenza has always been living and working make these expositions a different way to celebrate artisan ability and the importance of local production, which is the main aim of Expo 2015. 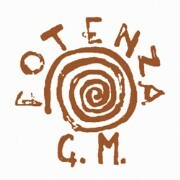 Through his art, Potenza feeds the soul, as food and water feed the body. Not by chance, besides the artworks placed in the city, Potenza will partecipate with three “models for a fountain” installed at Expo Aquae pavillion, in Marghera. During the whole duration of Expo 2015, the artist’s atelier will be opened to visitiors on appointment. Gianmaria Potenza is a Venetian artist and sculptor, well-known in Italy and all around the world thanks to his longlasting career. During his more than fifty years of work, he has had the opportunity to practice several forms of art, coming to shape his unique style which makes him one of the main representatives of the avant-garde‘s tradition. Potenza works mostly with bronze, but his versatile art has led him to experience also other materials, such as marble, steel, wood and glass. Gianmaria Potenza was born in Venice, on December 9th 1936. He attended the Istituto d’Arte under the enlightened guidance of Giorgio Wenter Marini. In his studio he still practices many forms of art: from painting to sculpture and mosaics. In 1952 he exhibited for the first time taking part in a collective exhibition at the Bevilacqua La Masa Foundation, where he also held his first one-man show in 1958. In 1954 and 1956, as a prize-winning student, he was invited to exhibit his works at the Venice Biennale. He was later to return to the Biennale in 1958, 1960, 1966, 1968, 1986, 1995, 2009. Potenza has always preferred large - scale - at times gigantic - “applied” works rather than having to cater to the tastes of individual patrons. Hence his works are often in conjuction with world-famous architects, for large banks, liners, public and private offices, hotels and churches. In this way, his creative gift has led him to experiment with an architectural conception of space that goes beyond the traditional distinctions between painting and sculpture. For a number of years he also designed and produced religious vestments and church furnishings for the Holy See. In 1968 he founded “La Murrina” glass factory, with the purpose of designing objects and elements for lighting. Thanks to numerous one - man shows and collective exhibitions, Potenza’s art has been greatly admired both in Italy and abroad. His works can be found in museums and in public and private collections all over the world. He lives in the artists’ place in San Trovaso, Venice.